Posted <2017-05-19 Fri 20:40> by Aaron S. Jackson. 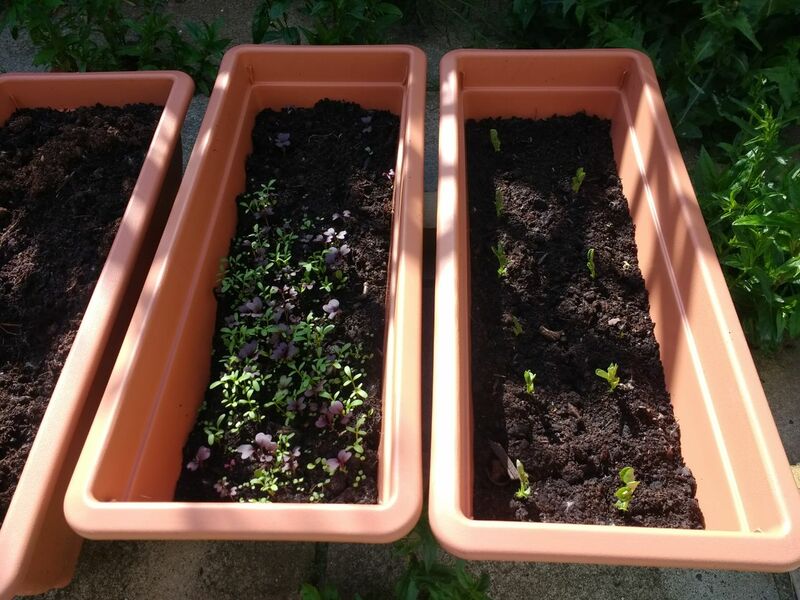 One week ago I went to B&Q and bought some grow troughs and compost as a poor attempt to try and grow some vegetables. I am not good at gardening and never really done it, so this is my starting point. The left most trough has two potatoes in them. I'm not expecting this to go well. I've put them in there until I have something bigger to put them in. 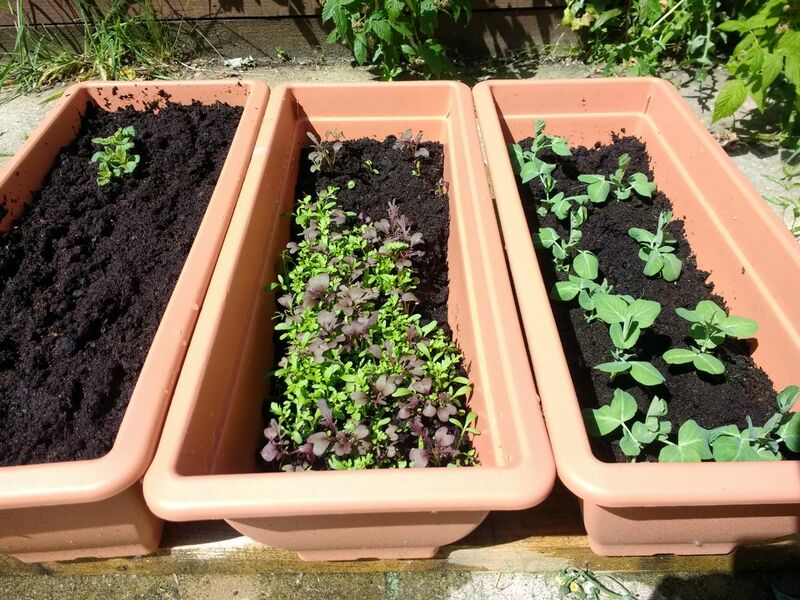 The middle trough has mixed salad growing in the bottom two thirds, and two squashes at the upper third. I think they might need a bit more room though. As you can see this trough is doing quite well. On the right most trough, I have planted some peas. Quite a few actually, more than there is probably room for… I can just about see some little shoots starting to appear. It's a fun experiment… I'll see how it goes. I would still like to do some automated watering or something, but recently it has been raining far too much. I drilled a few holes on the bottom of these troughs before adding the compost. To help them drain I have put them on two pieces of wood I had lying around. They seem to drain well enough. I haven't seem them being too wet, but they stay quite damp. 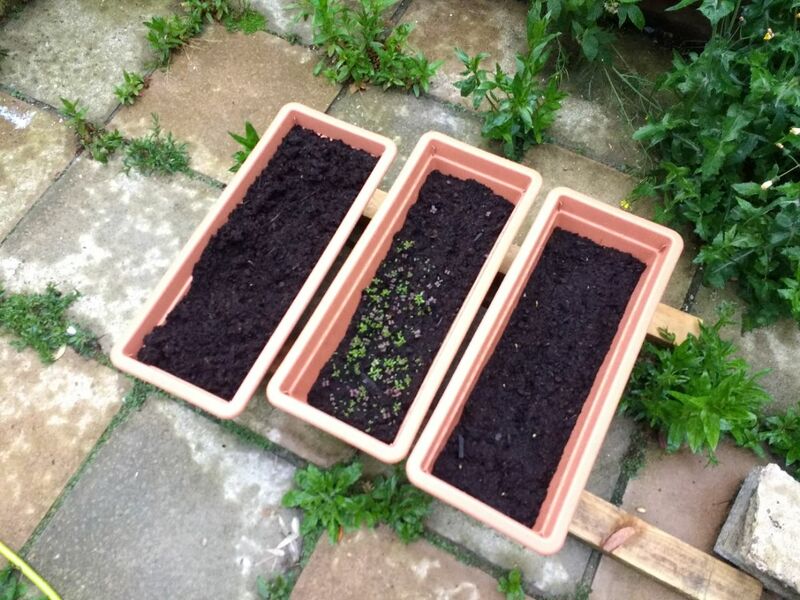 <2017-05-27 Sat 11:50> Potatoes starting to come up a bit better now. I've been told I should put more soil on top to produce more roots and therefore more potatoes. Peas are growing nicely too. I will need to put up some canes soon so they have something to hold onto.